Representatives of the Directorate for Project Management participate in the preparation of projects for the new European funds and open competition, which started 16th November in Belgrade, by European Funding Academy. Participants acquire the highest level of knowledge and skills for all phases of the European projects development from idea to evaluation of results. Starting with a clear overview of all new funds that are available, such as new procedures, how to write a successful project, where to find partners and how to achieve the highest levels of quality during implementation. Lecturers and trainers are among the most eminent world-class experts who have a lot of experience working with organizations in the region: Prof. dr. Dr. Steve Quarrie, Dr. Jurgen Henke, Dr. Thies Wittig, Soren Haar, Andrei Grebenc and Prof. Goran Stojanovic. 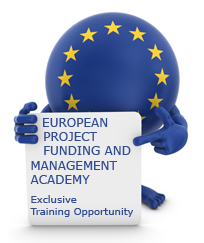 The program is intended for managers of EU projects from all sectors who want to reach the highest level of knowledge and skills, to enable maximum use of EU funds and improve results. In particular, the funds will be available for agriculture, ICT, tourism, culture, fashion, safety, strengthening of democracy, the rule of law, quality of education, technological innovation, energy efficiency, increase competitiveness, entrepreneurship and improving the quality. More than 70 billion euros will be available in the next six years for these priorities.